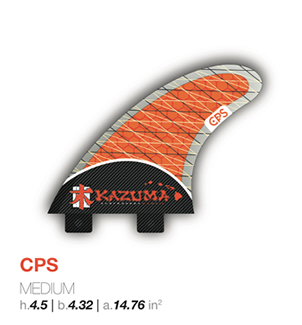 Carbon Flex Series Kazuma is designed to surf like a keel fixed laminated , with the benefits of being ultra- light and with a standard full of life flexibility. This is possible through the use of ARTM technology ( Advance Resin Transfer Moulding) , which reduces the amount of resin needed and allows the insertion of a medium size núclueo establishing a higher standard which provides flexibility and projection speed and extra control in relation to a traditional fixed keel. An established model for surfer with " feet - light ". The broad-based with an average tip helps the development of powerful " bottom- turns" and the release (relaxation) of the fins on top of the lip. Try this model uncomplicated in point breaks . A dedicated and balanced model that performs in various conditions. The base and the medium tip allow you to stay on track and facilitate the proper evolution of speed. It should be the preferred keel every surfer in inconsistent days. The fins Carbon Flex Quad 's have a well rounded design suitable for smaller surfers or boards with narrow rabetas , making this configuration an excellent choice for high-performance surfing. Its flat profile combined with its enhanced core " honeycomb " give extra stability and support on the edges as this relatively small profile provides response and release ( relaxation) . 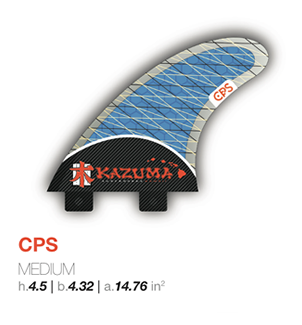 The Kazuma CPS series ( Carbon Pro Series) is designed for a quick surf and high - performance the unique combination of speed, acceleration and relaxation ( release) of energy by keel. Its large and curved profile provides acceleração and effective control, while the refined tips of fins and a smaller central keel reduce drag and allow a quick release when desired . The average size is ideal for small and medium waves and surfers between 65-80kgs . 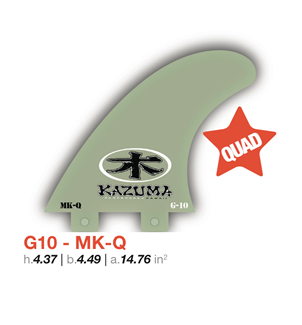 These keels offer a distinctive surf other fins in the market, have a good performance in models of "performance" , however, really stand out in smaller models and / or wider . The extra flexibility at the ends complemented by a more rigid base creates a flexible torsion cable that provides a spring effect , amazing power supply for input and output curves . Particularly in smaller and weaker waves. Exactly when you need that energy ! The G10 fabric is used to provide strong and rigid as possible keel will still have the necessary flexibility. The fiberglass G10 fiberglass is a single mixture which does not yield even under the most extreme conditions of stress and pressure . 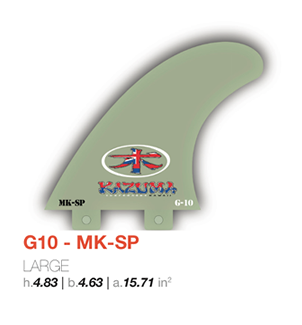 All of G10 fins of Kazuma are machined on CNC machines to ensure an exact , accurate reproduction of the original projects. 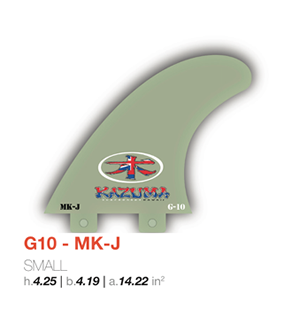 With the fins of the G10 Kazuma you can stay carefree, rely on their performance and focus only on the surf . Speed ​​and slip are essential factors in keels of Race. 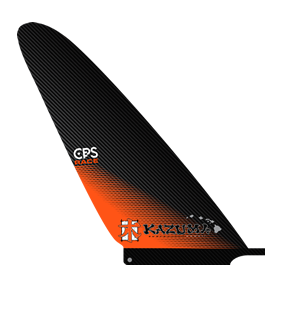 The Kazuma developed and tested these fins from various profiles and shapes to achieve the ideal format to help you achieve the maximum speed and can slip when you are rowing in a race . A lightweight racing keel with a sharp cut " able to mow the lawn ." Not limited only to deliver the high - performance desired performance , this keel adds value to its price!